Who is ready to have a little Halloween fun this holiday? Rumor has it that a party doesn’t happen without a great dip. (Maybe I started that rumor.) 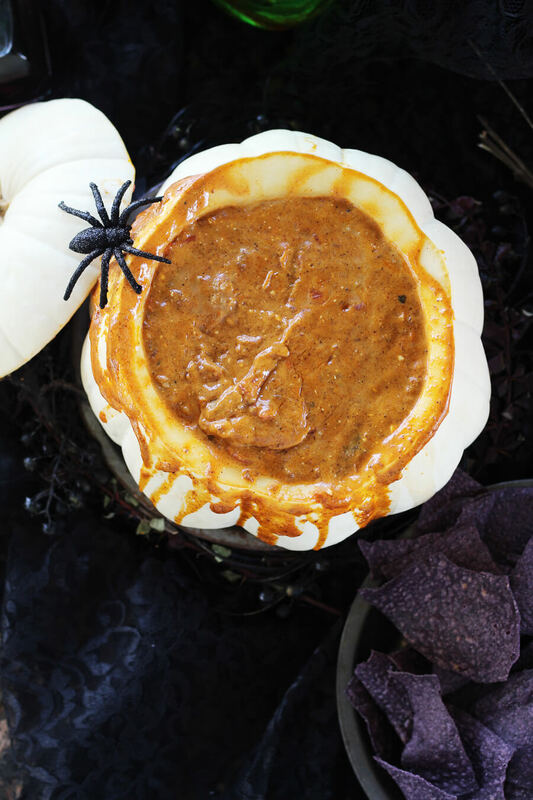 One thing is for sure, this Halloween Chili Cheese RO*TEL Dip is chip after chip-ful of spicy-cheesy goodness that I cannot resist. 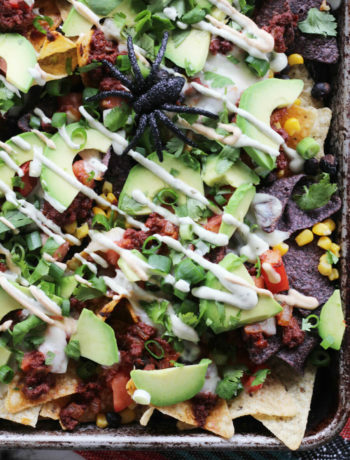 Keep reading to get the easy recipe and get our tips + tricks for a spooky good time. I promise you I didn’t put any snake, newt, frot, bat or dog in this dip! But this poem is the inspiration behind this witchy recipe for Halloween magic. This recipe is so easy, you will want to make it for every holiday party. Think a mix of RO*TEL® Original Diced Tomatoes and Green Chilies, browned sausage, your favorite chili and cheeses. This isn’t your regular cheese dip. 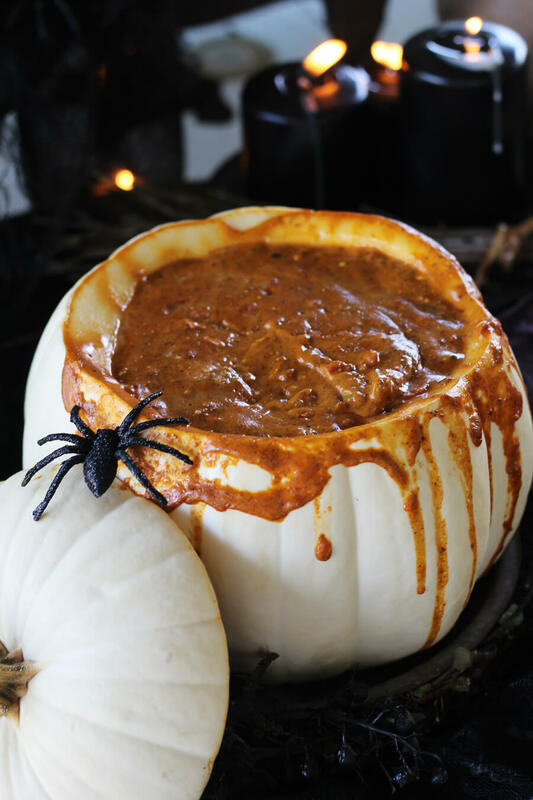 Thick and rich, this spicy and savory Halloween Chili Cheese RO*TEL Dip is an instant classic. Great part? 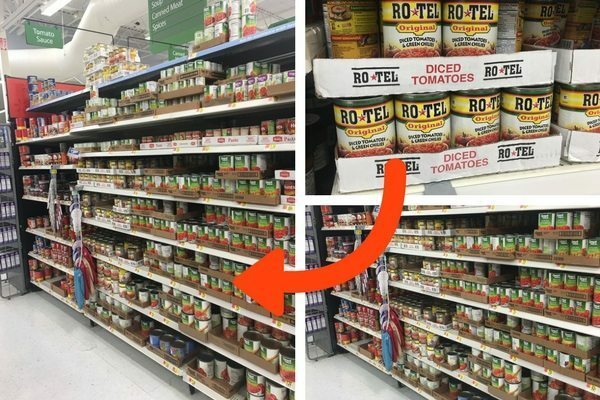 Everything is easy to find at your local Walmart. Get more information in the recipe at the bottom of this post. Want to try this recipe out for yourself? Click on the items below to shop! 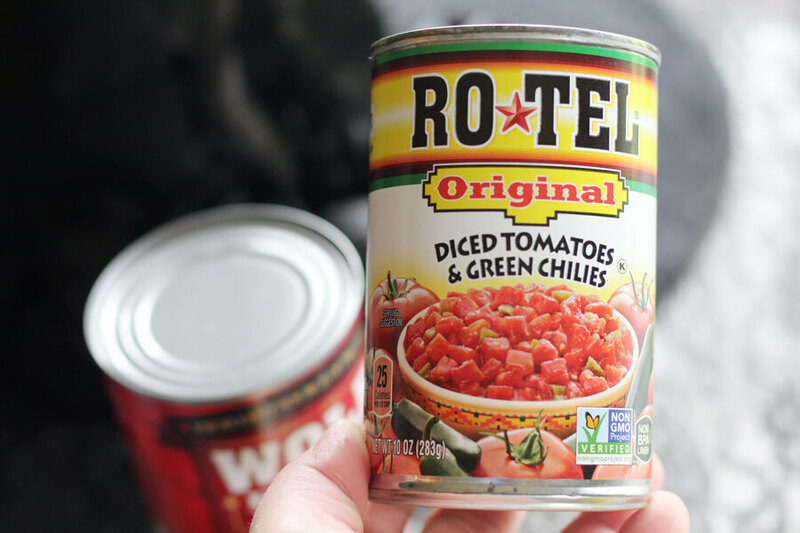 In our home, RO*TEL is a pantry staple ingredient. I use it for so many recipes in our home, including in salsas, chili, soups, breakfast casseroles, and more. It has that perfect zesty flavor that I love. 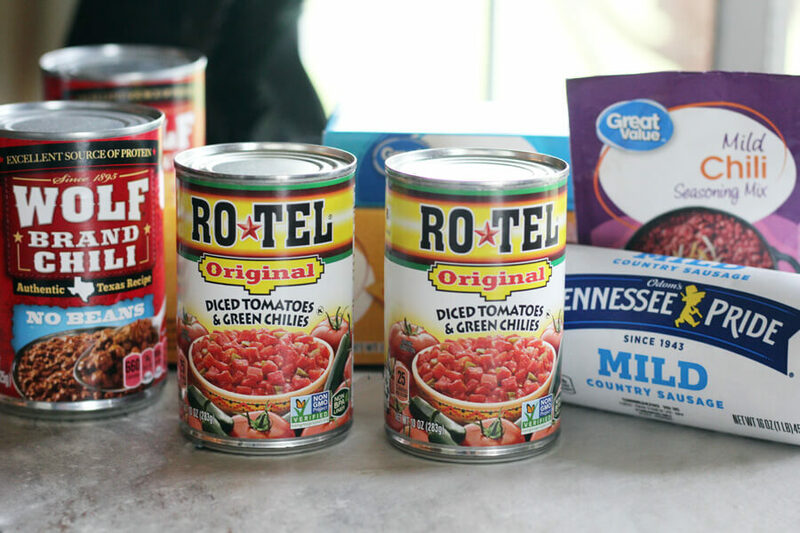 RO*TEL is an easy way to add a little a kick to all of your recipes. 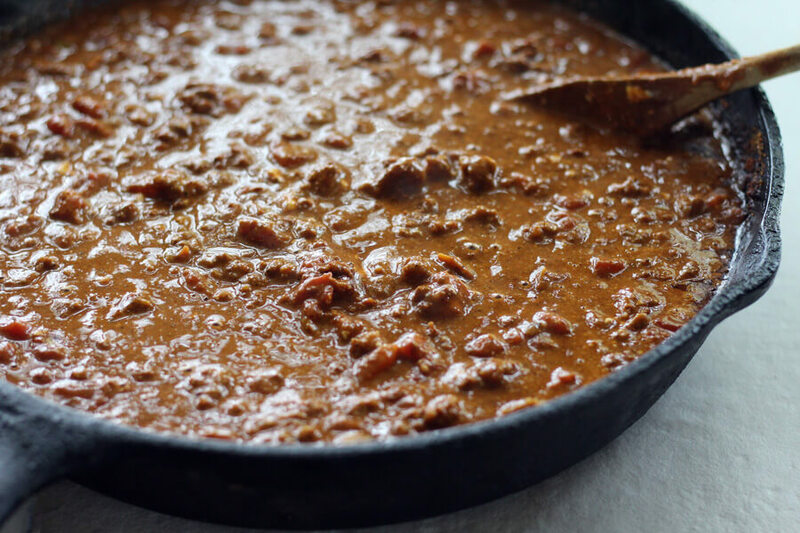 To make this chili cheese dip, first brown the sausage in a large skillet. Chop it up well as it cooks so you have small sausage crumbles. Drain any excess grease from the skillet. Now stir in both cans of RO*TEL including the tomato juice. Add both cans of chili and the seasoning packet and stir until the mixture is well blended. Next add chunks of the cream cheese and easy melt cheese to the hot mixture. Simmer on low, stirring to melt everything together. 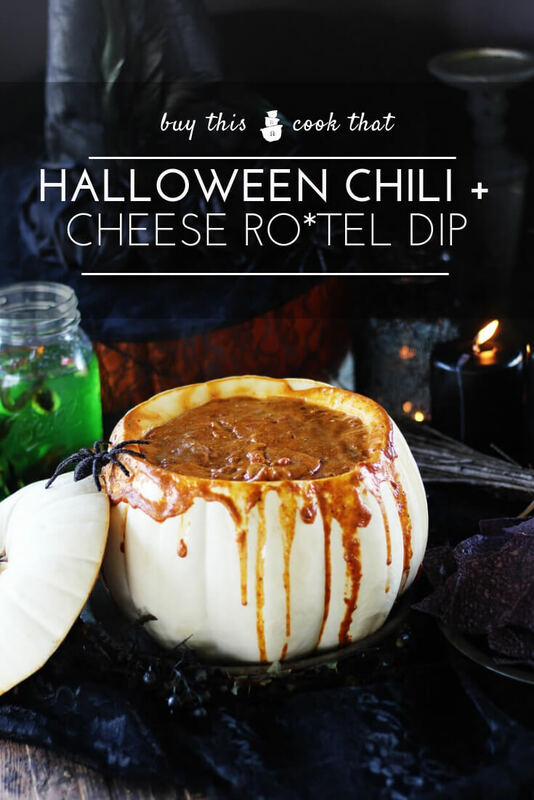 Halloween Fun: Serve your Chili Cheese RO*TEL Dip in a Pumpkin! I’ve got to admit, once your cheese has melted and the Chili Cheese RO*TEL Dip is hot and bubbly, feel free to dig in. 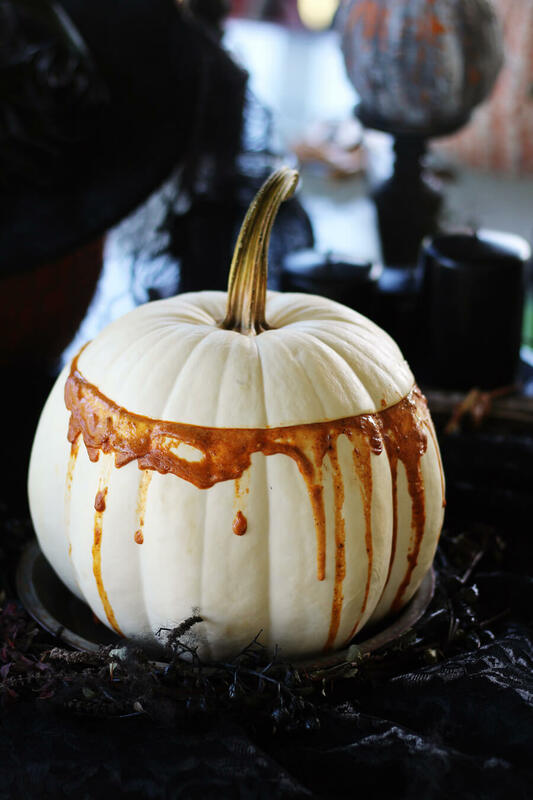 But, we’ve gotta be Extra this Halloween, so why not serve this yummy party recipe in a real pumpkin? First, pick the perfect pumpkin. For this recipe, we went with a medium-sized pumpkin. Be sure your pumpkin is firm with no bad spots or bruises. 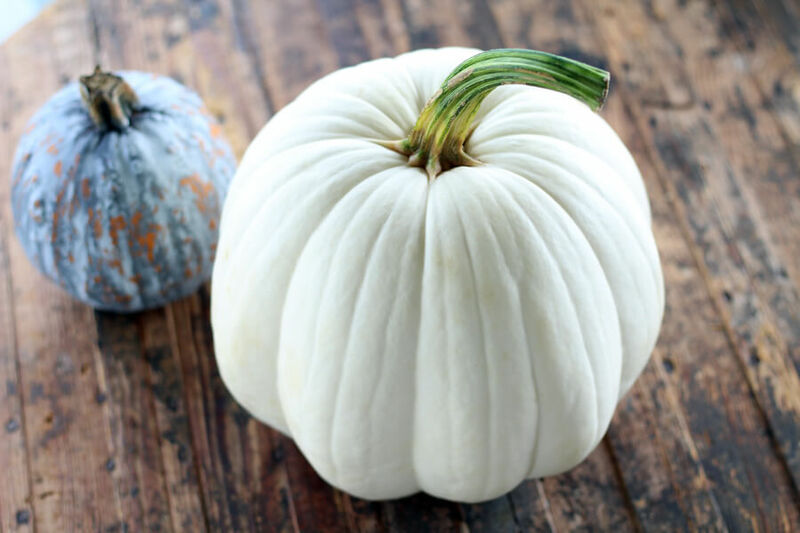 Wipe the pumpkin clean with a damp paper towel. I found this gorgeous white pumpkin and I’ve gotta say, it is the perfect size for our dip recipe. We cut the top off about 1/4 of the way down. Scoop out all of the seeds and pumpkin “guts”. Our pumpkin has very thick walls, so we used a spoon to scrape away a lot of the inside to make more room for cheese dip. 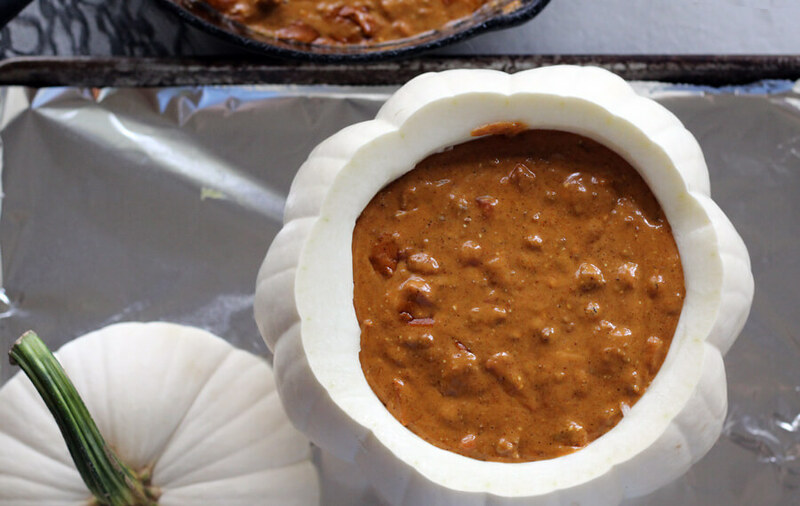 Carefully ladle the prepared chili cheese dip into the hollowed out pumpkin bowl. This is going to be so awesome, and we can’t wait for you to try it. I mean, Halloween + Pumpkins are party BFF’s. You could totally stop here. You’ve got hot dip in a cute pumpkin and you, my friend, are ready to party. But I wanna share a trick with you. 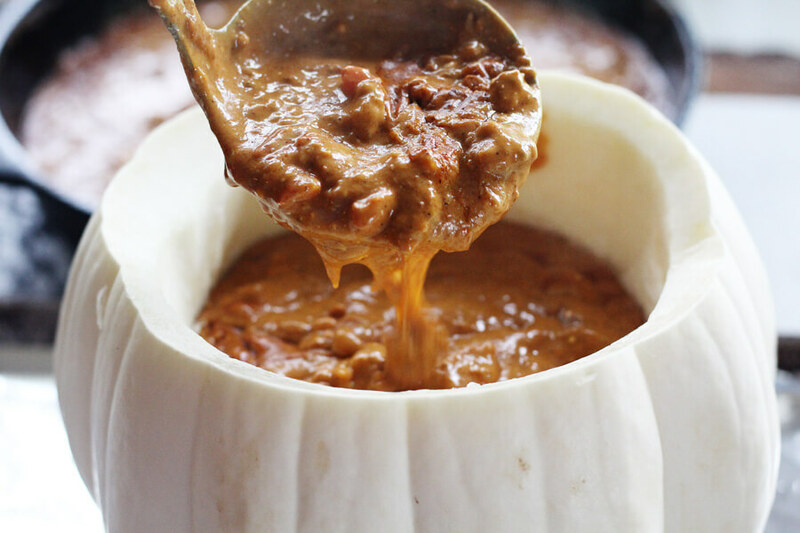 Let’s bake that cheese dip-filled pumpkin. Replace the pumpkin top. Then place the filled pumpkin on a foil-lined baking tray. Bake for 30 – 45 minutes at 350 degrees. Cooking time will vary based on the thickness of your pumpkin. No worries, your cheese dip is not going to taste like pumpkin. We are only warming up the pumpkin and letting the dip simmer and bubble. To get the Witches Cauldron effect, fill the pumpkin pot up to the brim. As it cooks it will bubble up and boil over a little. If you are having a more elegant Halloween gathering, don’t fill it as full. Me? I’m a hot mess and therefore am into hot messes. Don’t you love it? Seriously, you could serve all of your dips in little pumpkins to match. Even your chips and crunchy snacks, too (just line the inside of the pumpkin with parchment or wax paper to prevent crisp items from getting soggy from pumpkin moisture). BONUS: If you bake the dip in the pumpkin, it will stay warm for hours. To reheat, pop back into the oven for a few. You can even refill it as needed. 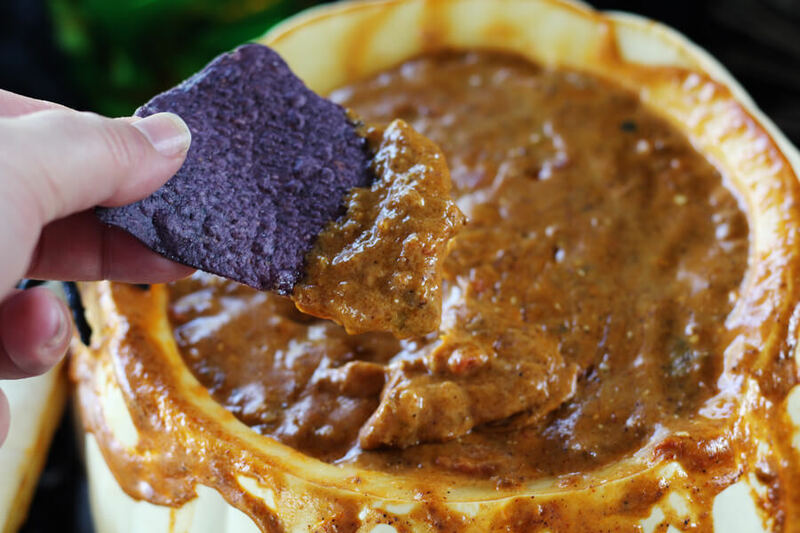 Serve Halloween Chili Cheese RO*TEL Dip warm with your favorite chips, crusty bread, and toppings. 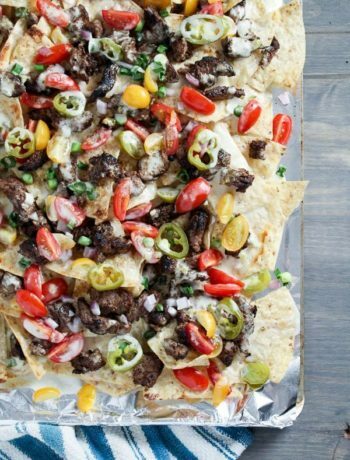 This is also a great Nacho Bar addition for your holiday party. Use inexpensive black lace (from the Walmart craft section) for a witchy-looking table runner. Make witch potions with green gelatin, gummy worms, and candy eyeballs. Fill old dusty bottles with purple-tinted water or beverages. Take a walk through the Walmart Halloween section for affordable items such as spiders, candles and more. Cut Halloween themed tights into several sections; pull the sections over mason jars for a fun look. Search for items you already own (candlesticks, plates, etc) that fit the occasion. A little spray paint goes a long way in affordable holiday decor. Wrap spider webbing around your tablescape for spooky flair. Hanging on to last year’s costume? Use items such as hats, feathers, skulls, masks and more in the party set up. Scavenge your yard for natural elements such as twigs, branches, and more to add to the look. What do you think about our fun Chili Cheese RO*TEL Dip? Have you ever served food in a pumpkin? Click here for more Halloween inspiration from RO*TEL. Hope you loved this Halloween Party food recipe. If you make it, snap a picture and tag #buythiscookthat @buythiscookthat. We would also love to hear your favorite RO*TEL Dip creations, so leave us a comment below this post. 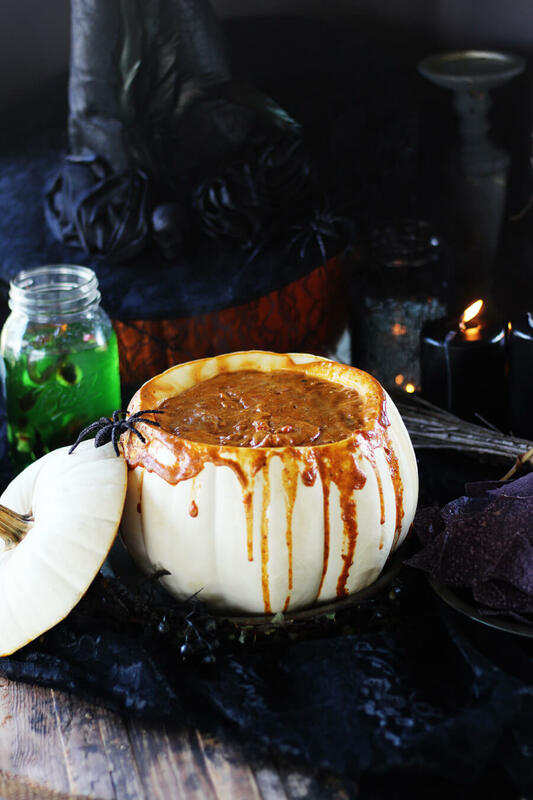 Fire burn and caldron bubble..."
This witchy recipe for Halloween Chili Cheese Dip is an instant classic for all holiday parties. Don't be scared; this savory and spicy dip is loaded with RO*TEL tomatoes, chili, cheese and sausage. 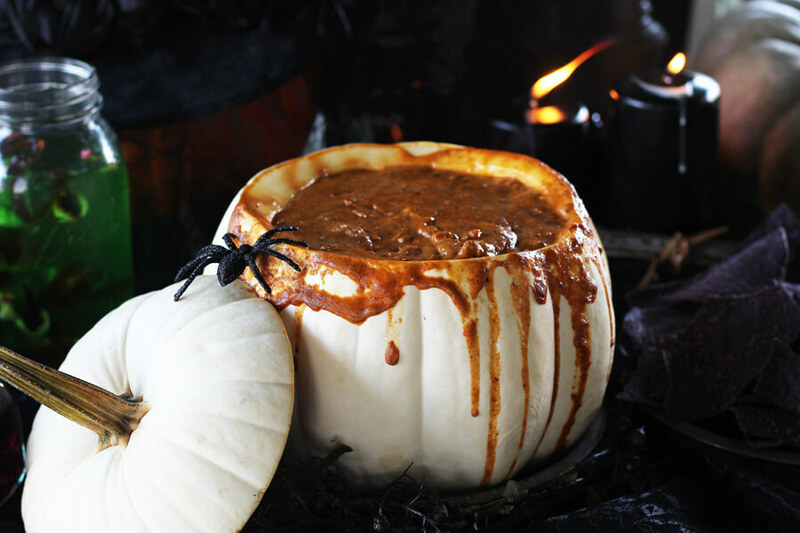 Served in a baked pumpkin for an extra-scary good time. Preheat oven to 350 degrees. Line a baking sheet with aluminum foil and set aside. Clean the outside of a medium, firm pumpkin. Cut off the top about 1/4 of the way down. 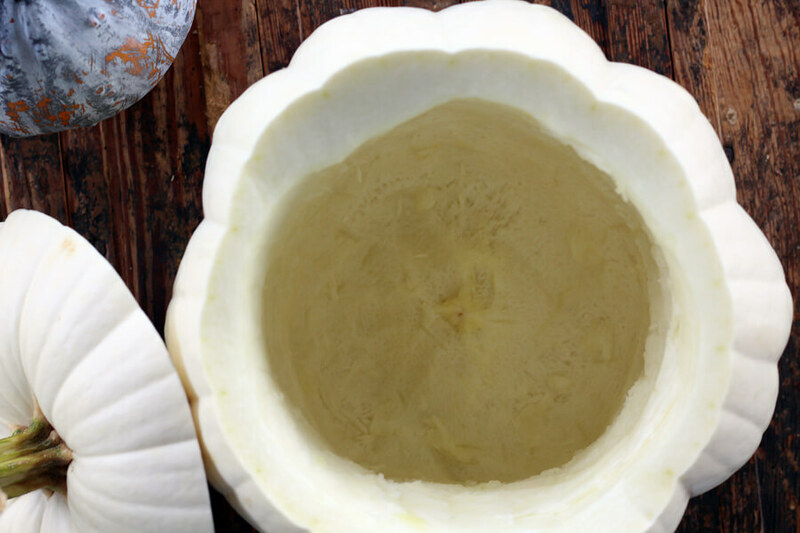 Scoop out the inside of the pumpkin until dry and hollow. In a 12 inch skillet, cook the sausage on medium heat until brown and crumbled. Drain. Stir in the undrained RO*TEL tomatoes. Add the canned chili and chili seasoning packet. Combine well. Add the cubes of cream cheese and processed cheese to the RO*TEL and chili mixture. Reduce heat to low. 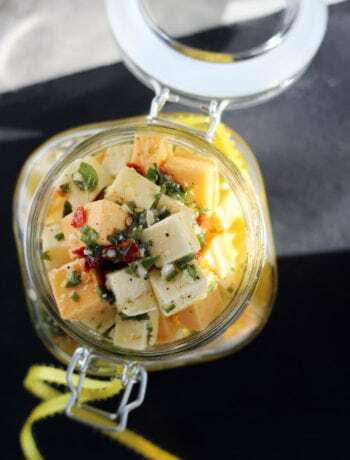 Simmer and stir the dip until the cheeses have melted and the mixture is hot and bubbly. Place the pumpkin on the prepared pan. Carefully ladle the hot dip into the pumpkin. Put the pumpkin top back on the filled pumpkin. Bake for 30 to 45 minutes until the dip is bubbly and the pumpkin is hot. Transfer to a serving platter and serve warm with chips.